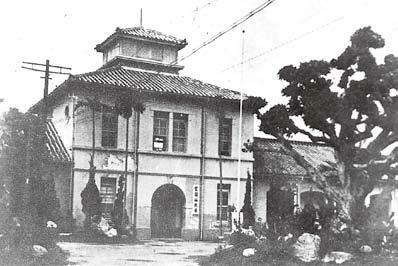 On the 25th of October in 1945, Chen Yi acted as the highest commanding officer representing war-time China and accepted Japan's surrender in the Gong Hui Tang (modern-day Taipei Zhongshan Hall). The era of the Republic of China had arrived. However, both domestic and foreign circumstances caused significant unrest in Taiwan before 1950. This unrest included the "228 Incident" in 1947. The Nationalist government retreated to Taiwan in 1949 and began a rule of martial law that lasted almost forty years. On the pretext of punishing rebellion and purging enemy spies, ambiguous legal clauses were used to frame individuals on trumped up charges. The period during the earlier half of 1950 is referred to the era of "White Terror". Major revisions were undertaken in local systems. In 1950, the Executive Yuan reorganized the administrative regions of the counties and cities of Taiwan. The three districts and one city in Yilan were designated Yilan County. On the 12th of November in the same year, the Provincial Government of Taiwan announced the implementation of these changes, and Yilan County was formally established on the 10th of October. In 1951, the first post-war local elections were held. Lu Zanxiang was elected the County's head commissioner of Yilan in two polling processes, thus opening up a new chapter in the autonomy of Yilan. After its defeat in Mainland China, the Nationalist government pushed for a full-scale policy of land reformation. These measures included the Three-Seven-Five Rent Act (which limited the amount landowners could charge tenant farmers to 37.5% of the total annual crop value), the allocation of public land, and granting of agricultural fields to farmers. The gap between the rich and the poor was narrowed, and landowners who previously subsisted on collecting rent were obligated to invest their capital in industry and commerce. 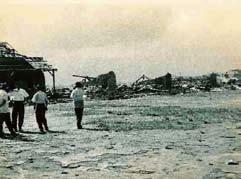 In 1961 and 1962, Taiwan was hit by the two Super Typhoons, Pamela and Opal, inflicting incalculable loss of life and property on the people of Yilan. Eighty to ninety percent of traditional wood and brick houses were destroyed in the storms. The "Four Eighty Bill," a financial aid package donated by the United States, provided a solution to the financial difficulties of the county government so that various infrastructure projects could be carried out. The people of Yilan ushered in a new era upon rebuilding their homes in the wake of the devastation.